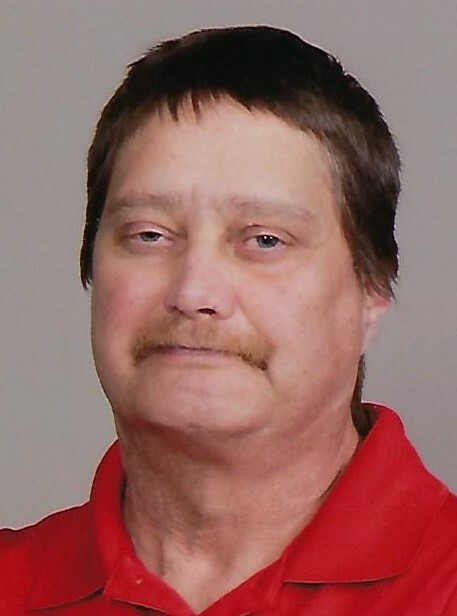 Shawn A. Mackey, age 52, resident of Onamia, MN, formerly of Edmore, ND, passed away Monday, August 20, 2018 at the University of Minnesota Medical Center, Minneapolis, MN. Shawn is the son of Ralph and Bernice (Anderson) Mackey. He was born November 15, 1965 at Cando, ND. He went home to be with our Lord after a courageous battle with kidney and heart disease. It will be 15 years on December 31st since he had his heart transplant. Shawn enjoyed life, people, his kids & family. He was an easygoing guy with a great personality that made friends easily. He enjoyed going to Texas with his parents and made friends with Victor, a guy he called the brother he never had. They were always together and golfed every day that it didn’t rain. The last two years Shawn wasn’t able to golf anymore, so he and Victor found other things to do together. Shawn enjoyed going to thrift stores and the flea market with his dad and uncle, Kermit Stein. There he could buy DVD’s for $1, some that weren’t even available for sale yet. He recorded lots of movies from TV, and has the whole series of some, like Gunsmoke, John Wayne, etc. Shawn attended school in Edmore, graduating in 1985. That year he became friends with an exchange student from Mexico, Fernando – another guy he called his brother – he even went back to Mexico with him and spent 2 weeks. Besides golfing Shawn really loved hockey, the Wild was his team. He would watch the games in his room and when the team put the puck in the net he would holler at the top of his lungs “he SCORED!” Shawn enjoyed phone calls from his adopted son, Gerald. He never really liked to talk long, unless they were discussing movies that Gerald wanted to be taped for him, and Gerald always told his dad I Love You. Shawn loved farming with his dad, especially at harvest time driving the combine until his health no longer allowed him to do it anymore. In his younger years he drove semi all across the USA, from one side to the other, with Rick & Pat Suda. He loved it and just hated to quit. Shawn loved his Lord and Savior. He wasn’t afraid to die and said many times, I know where I’m going and Jesus will take me home in His time, when He is ready for me to come. Shawn is survived by his parents and also 2 sisters, Robin Blazer of Devils Lake, ND and Leslie (Cory) Ploeger of Milaca, MN; 4 sons, Gerald, Bailey, Tanner, and Parker Mackey; 1 daughter, Kendra; and several nieces, nephews, and cousins. He was preceded in death by his grandparents, Ray & Rose (Otto) Mackey and Harry & Sylvia (Idland) Anderson. The Funeral Service will be held at Living Word Free Lutheran Church of Edmore on Saturday, August 25, 2018 at 10:00 a.m. Interment will be in the Edmore Cemetery. Visitation will be held at the church on Friday, beginning at 5:30 p.m. with a Prayer Service at 7:30 p.m. Visitation will continue on Saturday, from 9:00 a.m. until the time of service.